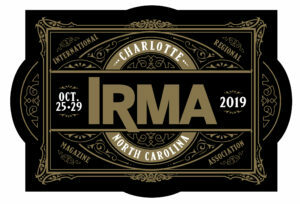 Reconnect with your fellow IRMA Members and Sponsors for the Opening Reception of IRMACon2019. Errol Laborde kicks off the evening with the President’s welcome. Join in for the revamped version of Hits and Misses. How’s your year been? What’s planned for 2020 and beyond? What’s coming? What’s happened? Let’s hear what’s up! Enjoy a delicious lunch and discussions with your peers at tables dedicated to Editorial/Design, Circulation, Business/Sales, and Free Association. Followed by a Moderated panel on audience engagement with Gordon Locke, Executive Vice President & Chief Marketing Officer, Pace Custom Content Agency. Please refer to our Things to Do in Charlotte page. Staff will be onsite to help organize group outings. Check out our sign up sheets for group dinners out on the town. Four members will share enlightening and helpful TED-style talks followed by a Q&A each. This session is for everyone at your magazine. Bring your issues to the group and learn how to solve them!